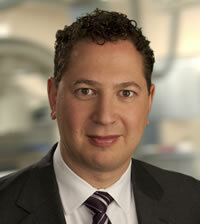 David J. Klein MD MBA is an attending critical care physician at St. Michael’s Hospital and Assistant Professor of Medicine and public health at the University of Toronto and Scientist at the Li Ka Shing Knowledge Institute. His research interests include the development of novel diagnostics and therapeutics for the treatment of septic shock and endotoxemia, acute kidney injury, enteral feeding intolerance, and muscle loss. In addition, he has worked with policy makers on healthcare system sustainability, funding, innovation and commercialization. He leads business strategy and partnerships for the Applied Health Research Center and has extensive experience working with healthcare industry partners in all aspects of drug and device development and commercialization.